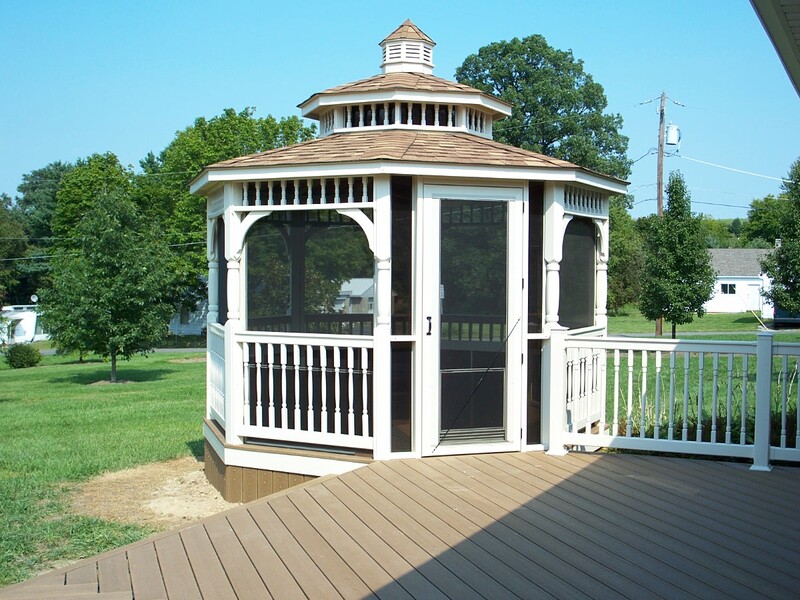 They can be a fabulous free-standing or cozy combination structure, and style-wise a gazebo might bring a classic or vintage air to your backyard or maybe a modern motif too. 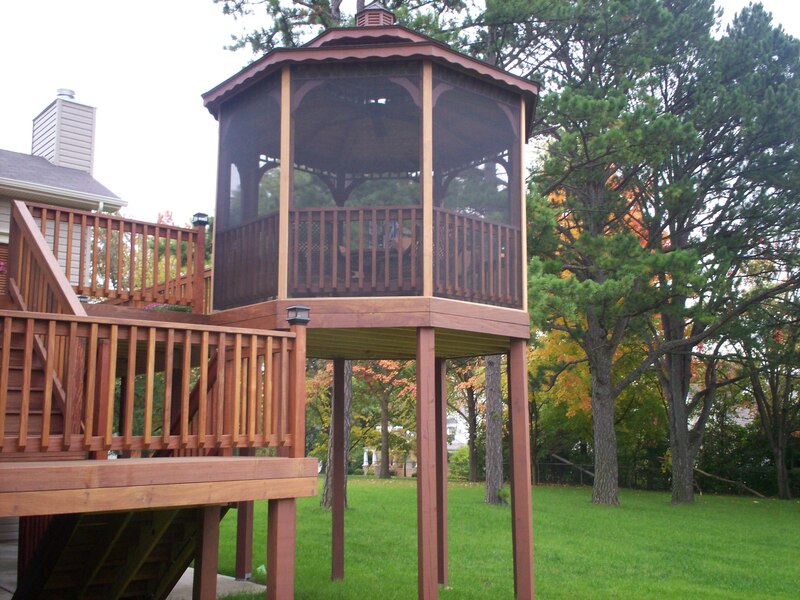 Wondering how to select a gazebo design? 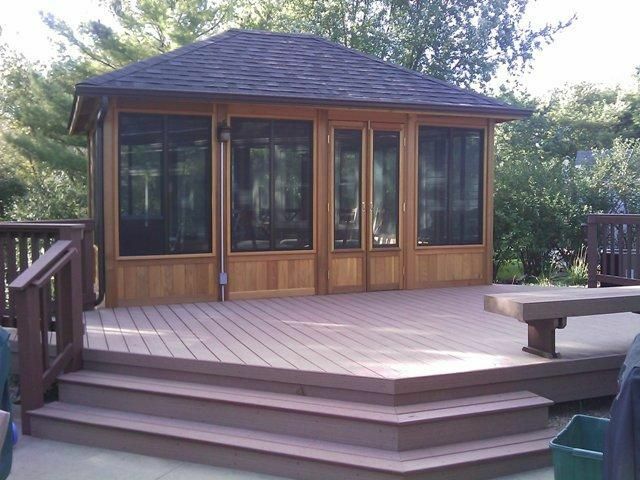 If you choose wood, there are color varieties depending on wood-type, stain or even paint. But low maintenance vinyl is available in colors too and frequently seen in bright white, ivory, almond, clay or shades of brown. Generally a gazebo is detached from the house, but not always. 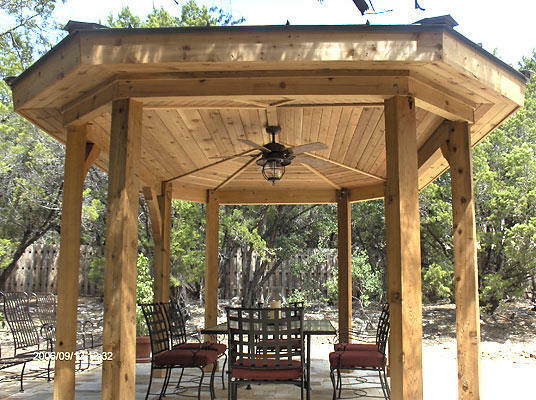 In either case, the best building site for your gazebo will totally depend on your backyard. 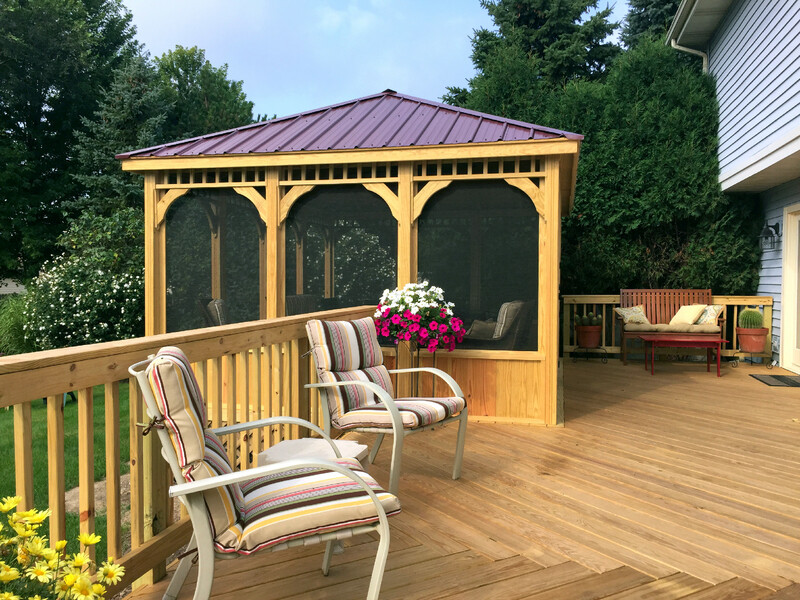 Things to consider include: elevation for a level surface, amount of sun exposure, scenic view, your local building codes, proximity to your kitchen or in relation to a garden, hot tub or swimming pool. Do you want it open, screened or with windows? And how about rails? 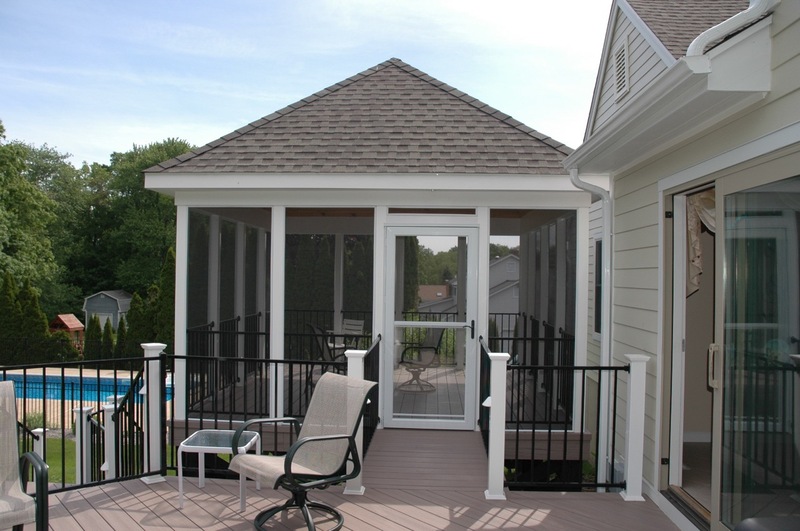 Do you prefer no railing (for ground-level only), open rails with balusters, decorative rails such as Chippendale or solid kneewall rails? Decide on a roof, ceiling and floor. Add contrasting color for pizzazz. Do you like straight-forward, clean lines or does an ornate vibe fit your style? Last but certainly not least, think about accessories? Ceiling fan? Lights? Built-in seating? Anything goes. If you’d like to talk to a professional contractor and you reside in St. Louis (or surrounding areas) in Missouri, please consider Archadeck. Located in West St. Louis County, we serve most of the Greater St. Louis region. 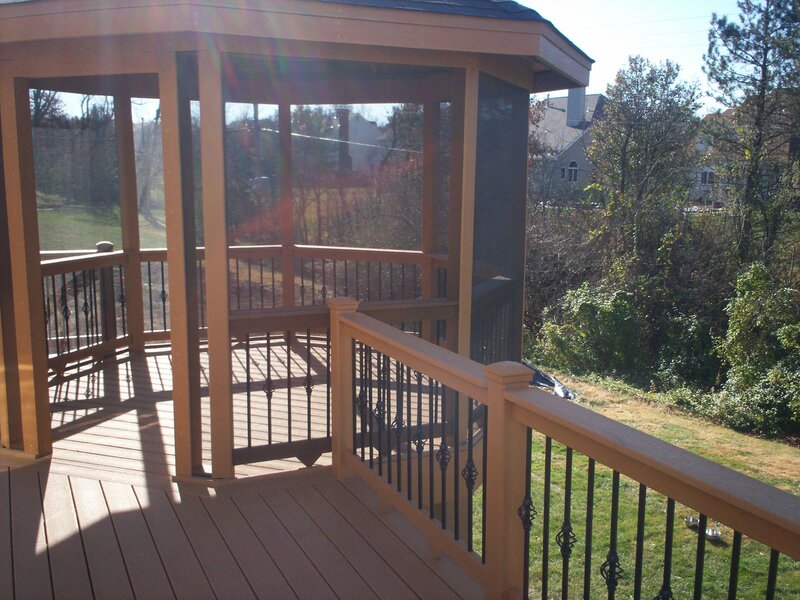 Call us anytime, 636.227.0800 or visit our website, west-county.archadeck.com. Outside of the St. Louis area call 888-687-3325 or visit archadeck.com. Wanting to explore a bit more before talking to a builder? We’ve got some helpful resources for you. Visit our Pinterest, Google+ or Houzz pages where you’ll discover a hub of industry research and inspiration. Or download Archadeck’s Design Guide. Just enter your email address. It’s yours for free. No strings attached, whatsoever.